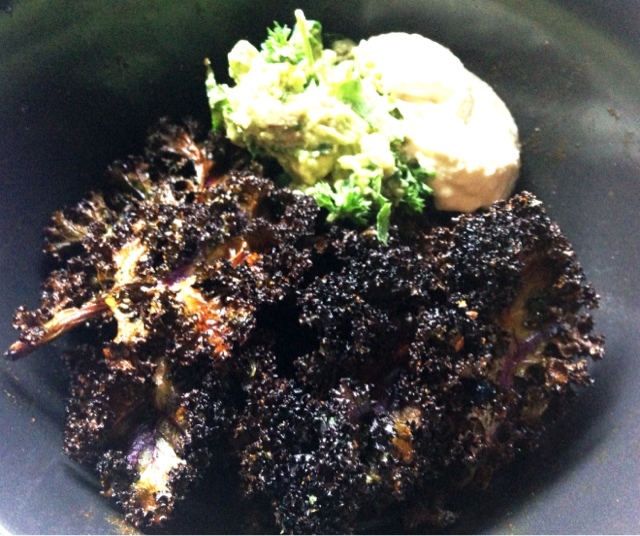 From Earth To Plate: From Earth Moroccan Spiced Kale chips & Avmash. 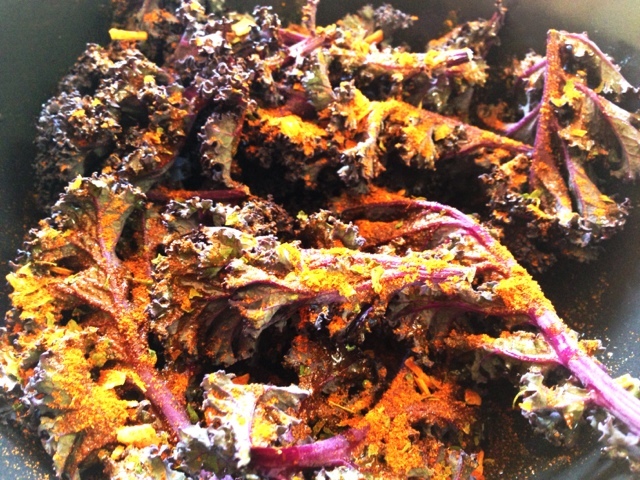 Nourish your souls & crunchy craving with these nutrient dense kale chips. Jump on the magic carpet ride with the perfect snack for yourself, friends & perfect for kids. these crunchy bursts of invigoration are Sure to feed your vital force and tantalize your taste buds. •2 dst spoons Organic Moroccan spices blend. •1 handful of sunflower sprouts. 1. Pre heat oven to 150 degrees. 2. Cut the leafy kale branches off the main stork ensuring you keep the the stem attached to the leafy chips as this acts as a little built in chip holder. 3. In a large mixing bowl place your kale, fresh spices & olive oil. Get your hands in & mix around Until all leaves are evenly coated in the tastes of Morocco. 4. Lay out evenly & flat on your baking trays & place in the oven. Allow to cook for around 15-20 minutes depending on oven. Check every 5 minutes by touching the chips to test for crunchiness. 5. 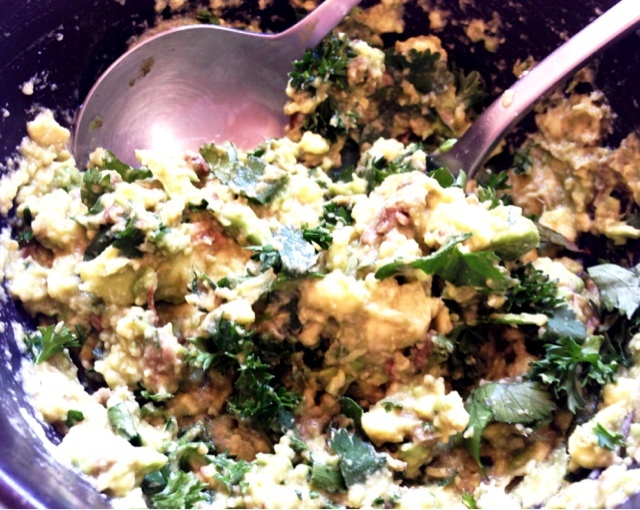 Peel the skin from your avocado and mash in your small bowl with your torn up fresh herbs, sunflower sprouts, a squeeze of lime & a sprinkle of your spice blend. Mix & place in the fridge to cool. 6. Take your kale chips out of the oven and stand for 5 mins to cool. 7. Serve with your fresh Avmash & some all natural hummus from my favorite brand Pilpel Hummous.